Our affiliates come from a broad range of academic specialties and research interests. We are united by a common goal of promoting gender equity in STEM fields and medical specialties. We believe that rigorous academic research and interdisciplinary cooperation are critical to that goal. 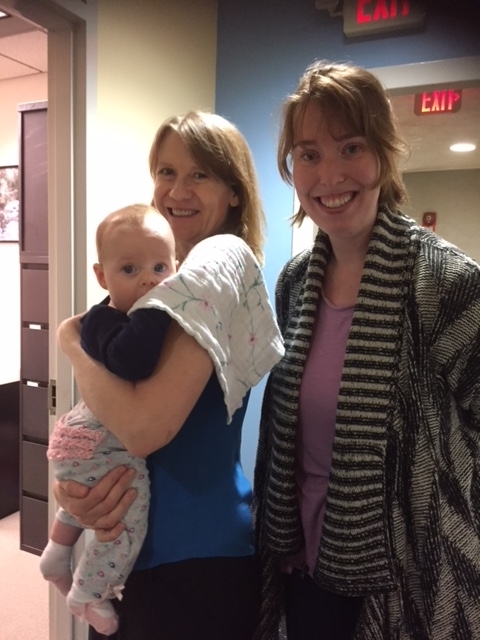 Director Mary Blair-Loy with affiliate Cat Crowder and her baby, Joan at the Center office.